Devoid Of Culture And Indifferent To The Arts: Object of Necessity 4: Freebie label artwork, made just for you! 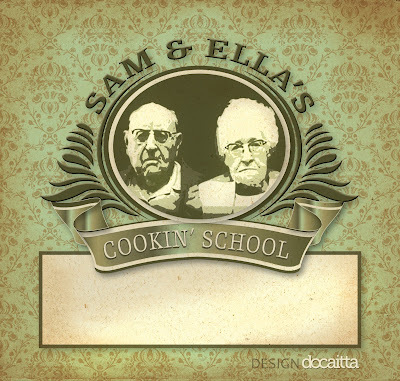 Object of Necessity 4: Freebie label artwork, made just for you! Click on the image to view full size, suitable for printing. Although I haven't given you any canning recipes (yet) here's a label for you to print off and use for all the liqueurs, mustards and the like you have made/will be making. Suitable for gift presentation, or just to make the things you've produced look amazing and professional while gracing your counter. I've been posting so many recipes that require storage I know you can benefit from a label. I feel it's only my duty to help you keep everything straight. It is, after all, MY fault. So I've whipped this up to help you out. Just click on the image to view a printable file. It's 5" x 5" at 300dpi. At that resolution, you could even have them professionally printed; just change it from RGB to CMYK colours. Save the file onto your desktop and then resize it as you need. So now you all have a piece of my design work. See, I'm always thinking about you. I hope you like it.